Hope you remember His Blessings to you this year! 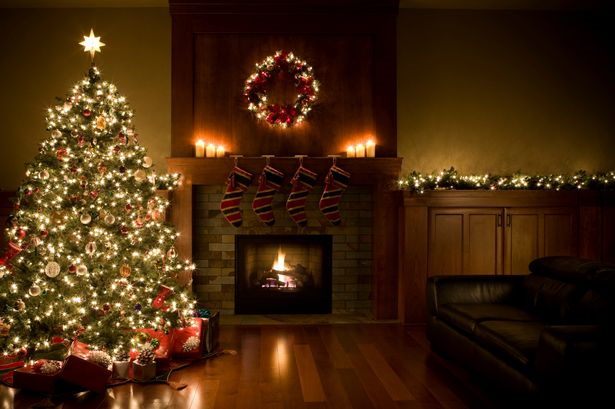 May Your Christmas be filled with His Presence! May You be touched by His Love for you! 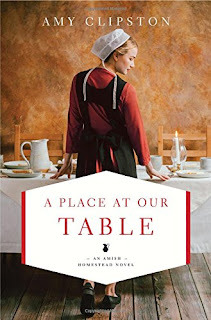 Amy Clipston is one of my favorite Amish authors as her stories have real substance to them! The author tells a tale that really at times caused me to inhale as I didn’t see where she was taking the characters. Some of the time it was heart-wrenching what the people were dealing with such as grief, loss, guilt and more. The main character that stuck out to me was Jamie Reihl, a young man who had so much on his plate. Jamie is a volunteer firefighter and helps run his father’s growing dairy farm, which truly doesn’t leave Jamie much of a social life. When his mother suddenly is no more, Jamie can’t seem to right the world under his feet. On top of that, some of the family dynamics make the grieving period much more difficult to walk through. Kayla is a young Amish woman in the same community who knows how Jamie is feeling, but because of different experiences. 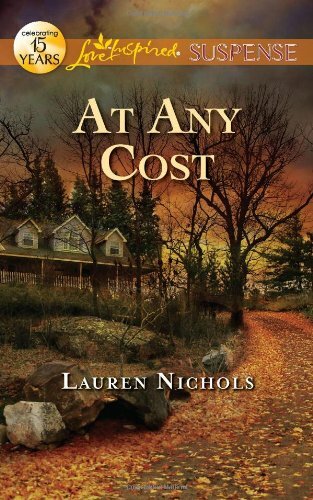 In fact, Kayla’s whole family longs to minister to Jamie, if he would only open is his heart to the truth of what happened and believe God can make beauty from ashes. 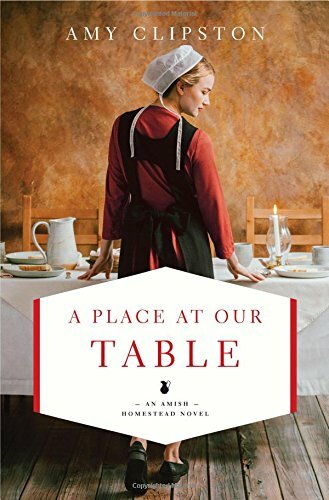 Amy writes stories that deal with real life issues and doesn’t make the Amish community appear perfect nor the people living there perfect either. I hope you read this novel and some of her others if you like stories that can reflect real life, people, events, faith and so much more. There is to be a second installment to the series titled, Room on the Porch Swing coming out in May 2018, and I for one will be reading it as soon as I can get my hands on a copy! I hope you join me in the continuing adventure in the Homestead Amish series! 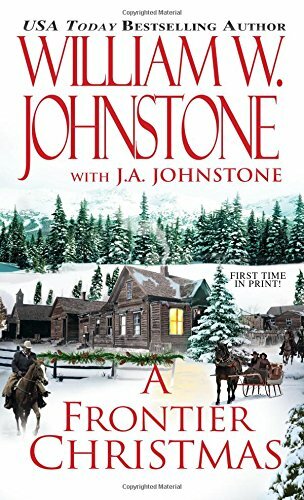 Each year the Johnstone family releases a Christmas novel that brings together some of the best of both older and newer characters into a blazing, riveting story! Here is another one that is without parallel to other Christmas Westerns. 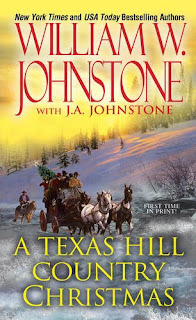 There were other novels written the last few years by the Johnstones and I highly recommend reading each and every one. While they are standalone books, it is fun to see what Wild West ride the author schemes to take the audience on! 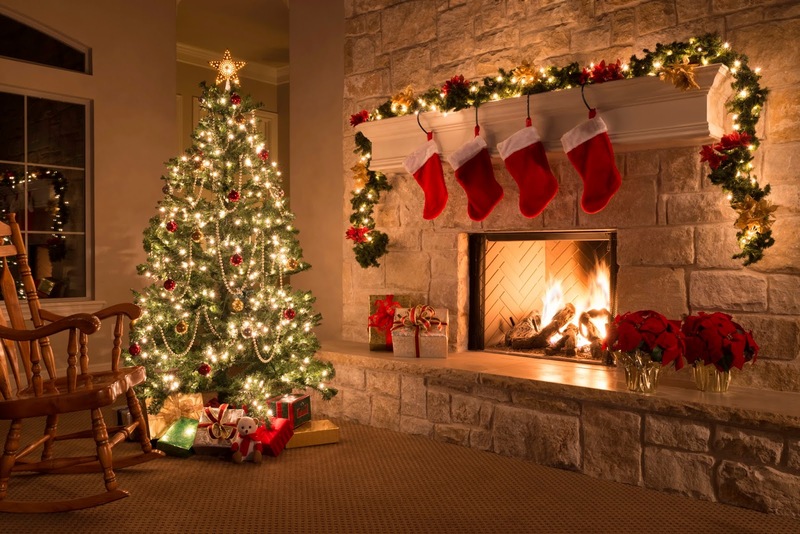 Prior Christmas novels are as follows: A Lone Star Christmas, Rocky Mountain Christmas, A Big Sky Christmas, A Frontier Christmas, and A Texas Hill Country Christmas with the newest one this year titled, A Colorado Christmas. 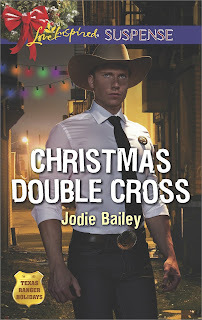 As usual I was captured by the story, especially when the author brought back a couple of older characters like Preacher and Eagle Eye Callahan. 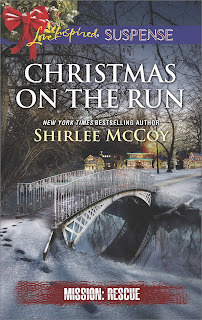 There is a stranded orphan train in town with twenty orphans needing new homes, a detective trying to find a lost boy among the orphans and if that isn’t enough, there are romance and holiday celebrations to boot! I don’t want to give away all that is brought together to tell such a story that has a plethora of happenings both on Smoke Jenson’s ranch and in town, especially when the antagonist who is an ex-con that has recently been paroled and goes on a killing spree as he carries out a plan of revenge and mayhem on an unsuspecting town. 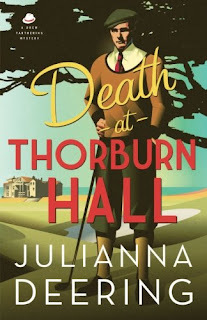 When I started reading, I knew I was hooked as the story first begins in 1926 with flashbacks to what happened many moons ago, then returns to 1926 with a climactic conclusion that I never saw coming! It was great! So grab some of these wonderful books, sit back and enjoy going back to the Old West with familiar characters and surprising plots! Each year a new Christmas novel is released by the Johnstones that includes some of their most beloved characters. 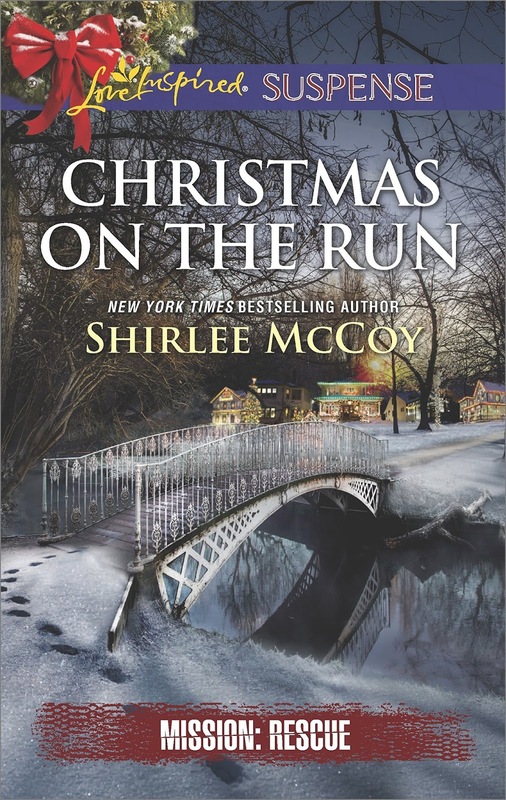 Each Christmas novel stands alone and the previous ones are A Lone Star Christmas, Rocky Mountain Christmas, A Big Sky Christmas and A Frontier Christmas. Now we can add to the Christmas themed novels this year’s story, A Texas Hill Country Christmas. Each year I have read the newest book, enjoyed it and shared my review with you. For me, this year’s novel is my favorite one thus far with the Jenson family members coming together in several ways that really is genius! The year is 1975 and a descendant of the Jenson family sits down to tell yet another story of her ancestors to the youngest generation about the “old, old days”. So, Helen Sievers begins to talk about Smoke, Matt, Ace, Chance and other Jenson members and their family adventures. This is a new way for readers to learn about the Jenson’s adventures and I loved it! In my mind, I could see the youngsters sitting on the floor at her feet waiting for the tale to begin. The tale wove together the main Jenson men and how they eventually run across paths that place them together, but each one has traveled a totally different looking road. The action and adventure really is gripping, causing readers to not let down their guard or set the novel aside. How the author kept all the details and multitude of plot lines straight is beyond me, but the ending was worth its weight in gold! 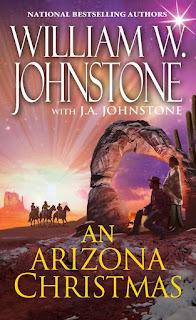 If you like action, adventure, intrigue, old west, rugged and unsettled lands that’s just part of what will keep you reading the Johnstone westerns for a long time! As stated above, each of the Christmas novels is a standalone but really readers will love each Christmas tale for years to come! They would make a really great gift for any western fans or book worms in any family! Merry Christmas to the Johnstone clan cannot wait to see what novels will come out from the book club in 2018! 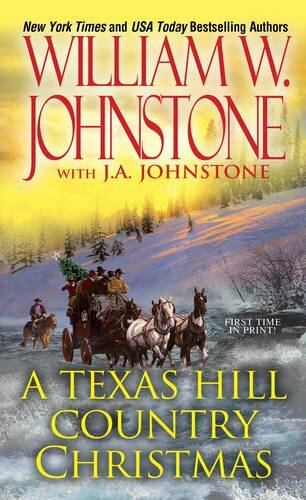 This is a simply heartwarming story set in the west with characters that I am familiar with, being a fan of Johnstone books. However, whether you are familiar with the characters or authors matters not as readers will be engrossed not just in the budding romance between Meagan and Duff, but the action with increasing tension will keep you glued to the book! A Frontier Christmas is the fourth book in the series Western Christmas Stories that also includes A Lone Star Christmas, Rocky Mountain Christmas and A Big Sky Christmas. Each book can be read as a standalone or grab all four and be prepared to be entertained for hours! 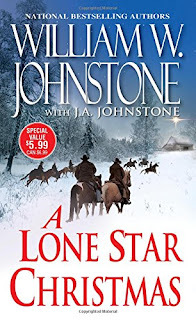 The Johnstone’s Western Christmas Stories will capture your imagination, heart and emotions that run a wide range with each book. A Frontier Christmas tells the story of small towns preparing for Christmas and coming together to fight against those who would trade life-giving medicine for money when one town is quarantined with diphtheria. The small town has but one doctor who runs from one bedside to another in a race to save lives. When Duff learns who the men are who have taken the medication, he enlists the help of old friends Smoke & Matt Jensen along with his ranch partner Elmer. When I began reading, I instantly fell in love with the characters and the story because I love westerns! Even if someone is not a fan of westerns these Christmas tales remind us of what is most important along with sacrificial giving without a second thought in order to save lives. Readers need to remember there are a couple of swear words sprinkled lightly in the book, but hardly noticeable with a story so stunning and fast moving as shared here for the audience. Many other western writers have come before and left stories for generations to enjoy long after they are gone; the Johnstones are no different. I hope you read all four wonderful tales in this series and share them with others who love the world of imagination sparked by a good book! J. 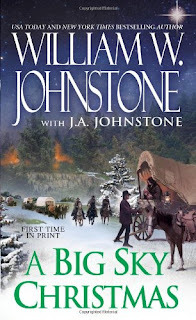 A. Johnstone has authored, The Big Sky Christmas, with as much heart as the previous tales titled, A Rocky Mountain Christmas and Lone Star Christmas. Each novel is thoroughly entertaining and enjoyable with a mix of adventure and romance. 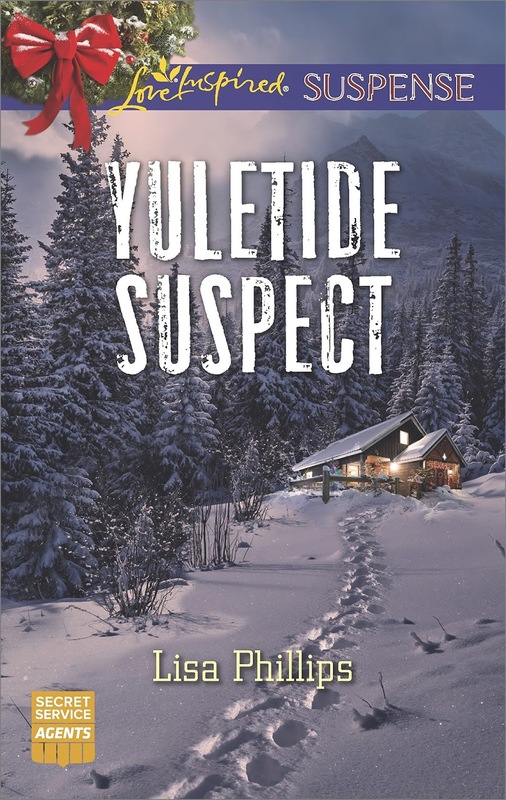 Here, in the latest Christmas book, A Big Sky Christmas, readers are introduced to characters with a true moral or spiritual compass and others with evil intent along with a host of surprises in the story line. 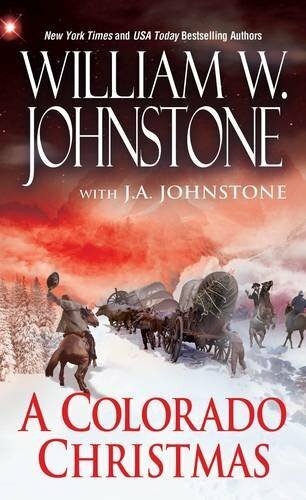 In the fictional tale, Johnstone uses flashback as a way to tell the story of a set of elderly twins and their experiences growing up on a wagon train bound for Montana. McAllister is a mountain man whose years were originally filled with locating those who took the life of his beloved wife Katie. When a brawl causes the original wagon master to sit this trip out, McAllister feels duty-bound to lead them safely to their new homesteads before the harsh winter snows begin. Each page is filled with action, adventure, danger, romance and more that will keep the audience entertained for hours in the setting of the Old West. Time flew by as I kept reading and seeing the novel’s climax build then come to a place of resolution when all of a sudden the story took off again on another fight to live through more perilous moments. It was easy to form the picture of the story in my mind. At times, I felt like I was watching the action play out through the eyes of one player or another. The risk pioneers took to start new homesteads and raise families is something that intrigues my imagination for hours on end. 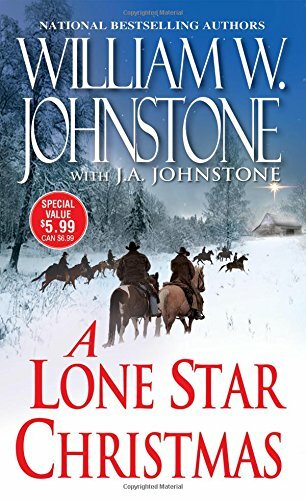 I thought it was a brilliant stroke of the author’s pen when an unexpected character from another of the western series appears here in the story. The gift of family, faith and friends through life’s adventures was the main theme of the whole novel. Banding together to care for each other, to fight to stay alive and learning new skills for life on the prairie were other added pieces of the tale that kept me reading well into the wee hours of the morning. No matter when you read this novel, I guarantee it will be time well spent. I also suggest reading the other two Christmas novels mentioned above as they are unique unto themselves. 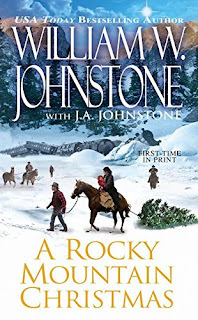 A Rocky Mountain Christmas is the latest in Johnstone’s writing repertoire, taking place during the Christmas holidays. 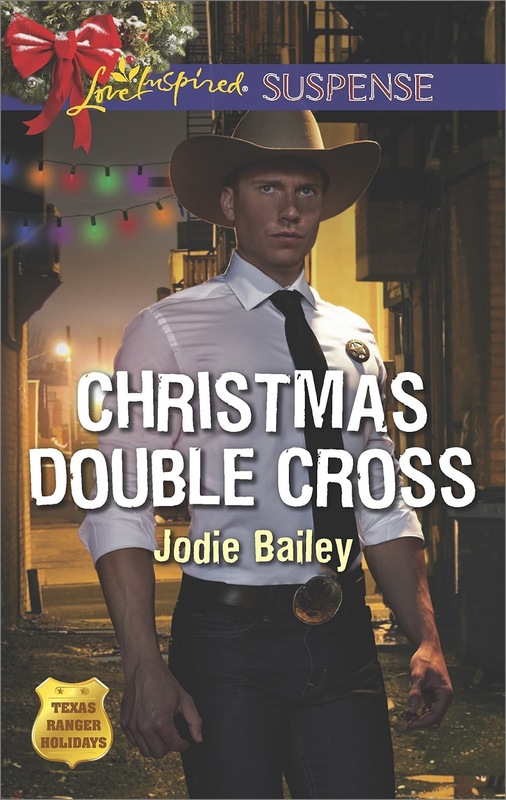 Some of the characters from the previous book, A Lone Star Christmas, continue to develop in this story. Here, the story enlarges to include a corrupt judge and a rancher accused of murder being taken on a train to go to jail along with another convict. Rebecca is now an older woman, but was 6 years old at the time of a train accident that would change her life forever. She was the daughter of a senator and his wife. Her parents were going to a speaking engagement when an avalanche changed every passenger’s plans. Rebecca is now being approached for an interview before her flight leaves. The only reason she agrees to participate in the interview is due to a delay in her flight. Her only condition for the interview is that she be allowed to tell her story without interruption. She begins by telling how she came to be on the train. Luke had been a sailor until an inheritance changed all that. Matt is going to spend Christmas with people who have been like family to him. Jenny used to be a hostess on the Mississippi River when her life changed in more ways than she ever saw coming. Luke, Matt, and Jenny are on the same train that is stranded at the top of a mountain pass due to an avalanche begun by a single gunshot. Who made the mistake of not thinking before firing their weapon during a heavy snowstorm? The use of flashback makes the novel really intriguing. I was so absorbed in the adventure I forgot about the flashback until the very end of the book! There are many stories going on at the same time, but not where it would make things too hard to follow for a reader. In fact, the more strands added, the deeper the plot. There are a few curse words sprinkled over the course of the story, but not so much as to distract the reader or become the focus of the story. Sometimes when I read books, it seems like the author writes it with the intent to shock the reader by using foul language. One thing I appreciate about Johnstone’s novels is that isn’t the case at all. I believe storytellers can hone their art to such a fine point that they would actually be able to tell an excellent tale and not use any foul language. The Seeking with all Yur Heart blog exists for two main reasons: First, it exists to help readers locate excellent novels that truly entertain without the “extra” stuff added. Second, it exists to encourage authors in writing tales that entertain readers without the use of negative modern day verbiage or sexual content in the book. Since I was a little girl, westerns have been the one genre I knew I could best use to identify who I was. Whether it was watching westerns on TV, a movie, reading non-fiction as well as fiction, I always wanted to know more about the West with a passion. Recently, with my sons having become men, I joined the NRA, took a class, and bought my first firearm. I am also a member of SASS. Even though I don’t attend anything, I learn a lot from this group. I knew a few western writers growing up though because of my Nana I knew more about Louis L’Amour and his books. Growing up and watching my parents get her the latest novel or seeing her read those books are memories I will always remember. When Nana died, I was blessed with her entire collection of westerns that included a few Luke Short books and some others. 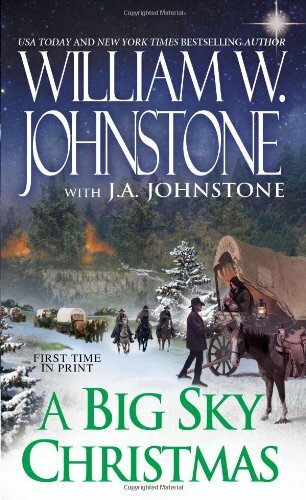 It wasn’t until earlier this year that I came across the name of William W. Johnstone. Every author of any genre has a unique way of telling a story. The western genre encompasses a whole lot of territory. What I like best in this author’s writings is the depth of the story and the painstaking time taken to place details in a scene. There is some cussing in the novels, but no sexual content whatsoever. There is romance though as well as gunfights. Deeper still is the portrayal of the cowboy’s code of being willing to place his life on the line for another, taking care of matters of law and justice, or even seeing to family matters. Yet, even what I have listed fails to encompass the western genre. I can only say the novels are worth the time to read. A Lone Star Christmas was released in 2011, and this year A Rocky Mountain Christmas has been released. In the near future, I will be reading and reviewing this work of fiction as well. I have no doubt that it will be as excellent as its predecessor. There is so much enjoyment in the pages of this novel. It would be hard to put words on paper to adequately describe everything, so here is a very short summary. Remember there are a few cuss words interspersed in the story. Rebecca is the daughter of a wealthy rancher in Texas. She doesn’t know her birth mother. Who was she? With love on the line and questions to be answered, Becca leaves the ranch without anyone’s knowledge. Tom is running from a memory he never wants to rehash in his heart or mind. 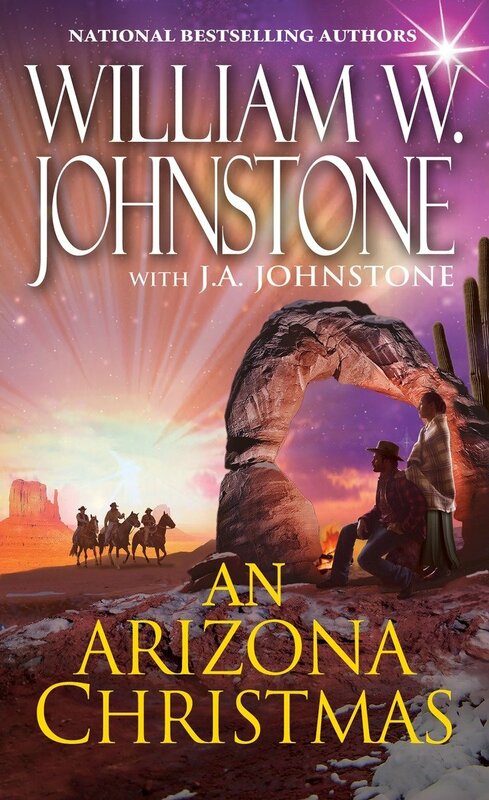 Leaving his former life behind, he sets out on a train for the west, ending up in Texas. His knowledge and experience as a cowboy become apparent very quickly, but there is no turning back now. Ranch hands’ lifestyles, forged friendships, and a cattle drive through the winter are just a few of the happenings that take place. With a make or break deal to try a different breed of cattle, Big Ben sends his team of seven people to meet the train and drive the 2,500 head of cattle home through sandstorms, a blizzard, attempted murder, and cattle rustling. Will the cattle make it to their new home? On top of that, Big Ben wants everyone home for Christmas. Maria just wants her baby safely delivered at the ranch. Exactly what does occur on the cattle drive, before the drive, and months later that changes the lives of the characters? Interested in reading this yet? I sure hope so. You will be missing a great adventure if you pass up this novel! While visiting a distant cousin who lives in Scotland, her husband falls off his horse during a ride and dies. Drew asks a few questions and is satisfied it is truly an accident. The victim’s daughter, however, is not. Her father was an excellent horseman. She begs Drew to look more into the matter, and Drew soon discovers that the death was not an accident. Someone had tampered with the saddle, but who would want Lord Rainsby dead? Drew delves deeper into the lives of the Rainsby family with the help of his best friend, Nick Dennison. Nick has more on his mind than murder, however. The woman he hopes to marry has arrived, but she is very troubled being around murder and the ensuing investigation. Nick is afraid she will return to America and stay away another three years or perhaps more. So, Drew is juggling a murder investigation, his best friend’s romantic life, his cousin’s grief, a daughter’s suspicions and a chief inspector who wants no interference from amateur detectives. Then, another body is discovered and shortly thereafter a third body washes ashore from the sea. Are the murder’s connected? If so, by what? Drew’s detective skills will be put to the test as he tries to find a killer. My only negative about this mystery was the role of Carrie in the story. She was a distraction and downer for most of the story. I liked Madeline’s positive attitude and the prominent role faith had in her life. I also liked the playful interaction between Madeline and Drew. I was intrigued by the mystery of Drew’s search for his birth mother. Will he continue to try to find her? Maybe he will finally track her down and have a chance to meet her, or maybe she will be involved in his next murder mystery. I’ll anxiously await the next tale and let you know! Liberty Westmark is a Secret Service Agent on her way to forewarn her ex-fiancée about those on their way to arrest him. What is the charge? Terrorism. Liberty doesn’t believe that Tate is capable of such a thing; yet, the evidence is daunting to disprove. 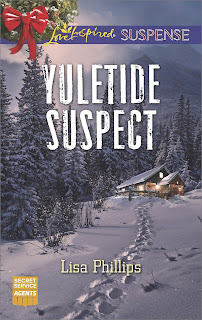 When Liberty gets to Montana’s mountains to speak with Tate, the danger starts right off and doesn’t let up throughout the whole journey of trying to prove who the real terrorists may be. What complicates the dangerous and perilous times they spend together tracking down those who might be culpable is that their past love for one another hasn’t dimmed. Yet, Tate has no idea why Liberty called off the relationship and while the major angst is gone, he still wants to know the real reason Liberty was so willing to walk away. The constant suspense and action, twists and turns of the book will keep you engaged until the very last page is read! For me, this is one of the best I have read in a long time that was so climactic and filled with tension that was palpable I simply cannot imagine having read another story like Lisa’s. I hope other readers will grab a copy to thoroughly enjoy and consider giving a copy to someone they know who loves books with themes of faith, action, adventure, romance and much more! Get a copy on 12/05/17, the release day! When I started reading the book, I wondered if it would have any nuggets of wisdom for me to glean, and it truly did have some! There were a few places I didn’t quite glean as much. Perhaps that is based more on my season of life than anything. Either way, I think chapters 8 & 9 have much to share with those who are caretakers or were caretakers of aging parents. I had the blessing of being able to be that person for my husband’s parents. It wasn’t always easy and sure it did not always feel like a blessing at that time. When one sees parents aging and declining, there is grief that goes right alongside other emotions that are mixed and complicated. It has been a few years since that season for me and now both my husband and I look back and are seeing the wonders God did and the memories we have that we cherish. 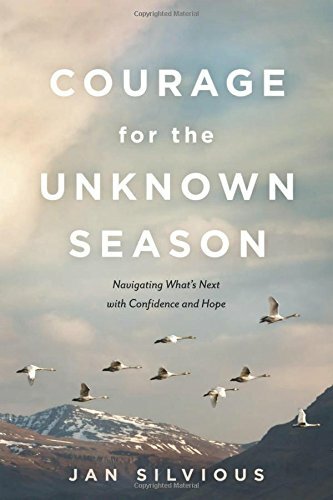 Now, as my sons grow into adults and one recently married I am in an unknown season. With unknown seasons there are many emotions experienced, questions, insecurities and such. 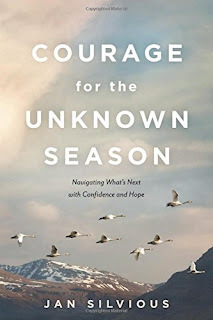 Unknown seasons bring change without the benefit of foresight because we don’t see it coming. It seems like we awake and there the season is on our face. The author shares nuggets that I have stored in my heart and mind to remember as I take a step each day and close my eyes at night, closing my day with prayer. The book isn’t long, so people can read it and quickly gain insight and encouragement. Plus, it is a good book to use for discussion groups of various kinds. My rating 4 ½ out of 5 stars. 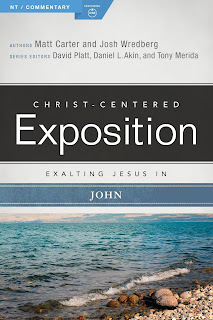 At the time this commentary was offered for review, I was partaking of a study in the Gospel of John with a group, so the timing was not coincidental, but obviously of God’s design. 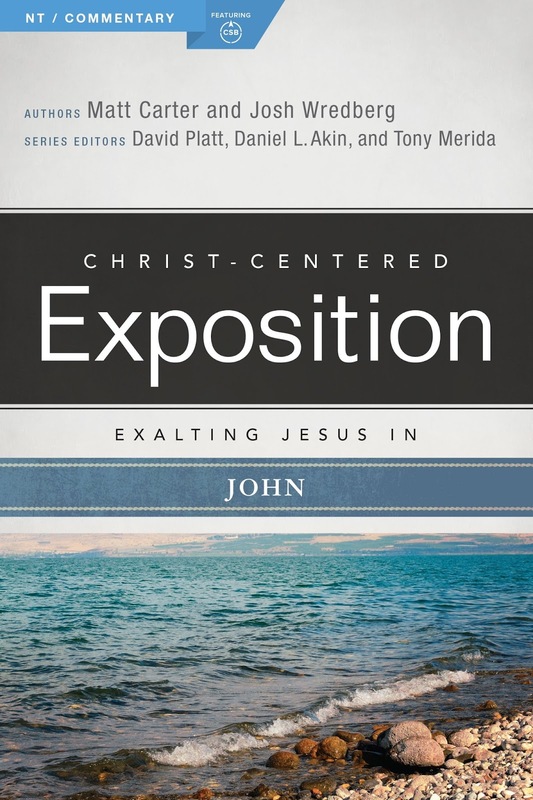 One reason I enjoy these commentaries is that there are questions at the end of each chapter that can be used to further delve into the Word, used in a small group setting or used in teaching a group. Another reason is the insight I glean from what is revealed about Christ in a particular book of the Bible. Readers, students, or lay people don’t have to be of academic background to understand and grow deeper in their understanding. The authors write so that any believer of God can pick up a commentary and unearth the treasures of Scripture study. The books are written for the purpose of not just building the mind, but to help feed the soul of the seeker desiring to draw near to the Lord. When anyone uses these commentaries, you may not agree with everything written and that’s fine as only the Word of God is 100% accurate. You will find nuggets of truth that really take your breath away or you may come up to one of the points and wrestle with what it says to see if it is true or not. No matter what, anyone who is open to the Spirit instructing them will thirst for more and seek to love the Lord with all their heart, mind, soul and strength. With the holidays right around the corner, please consider this commentary or others in the series for those you know who want to draw nearer to the Lord in 2018! The Justice series begins with the first book titled, Beyond Justice. 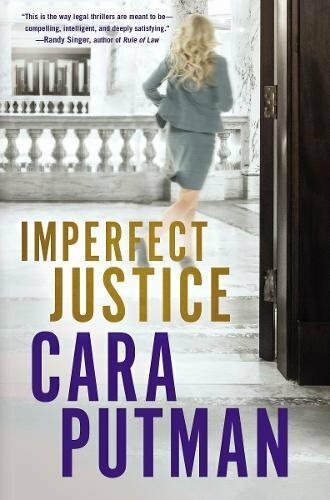 In her latest novel, Imperfect Justice, Cara really ups her game by placing before readers a thoroughly addictive story that was hard to put down. Though, to be truthful, I didn’t want to put it down! Having read her first novel, I was very much interested in seeing where the plot would go and how the characters would develop that were introduced in the first book. Here in book two what an amazing, heart-grabbing and heart-pounding sequel! The main female lawyer, Emilie Wesley, has been through an abusive relationship and empathizes with those women who are seeking to escape from their significant others who are harming them in a multitude of ways. Emily’s most daunting reality though is the one case she never got to court; the one woman she felt she let down. 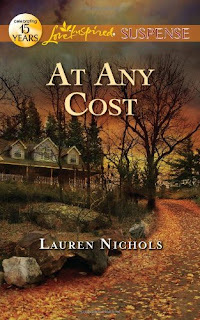 Kaylene Adams along with her two daughters Emily wanted so very much to see escape to a whole new life, free from her controlling and abusive husband. When Kaylene is smeared across the pages and internet saying she killed her daughters and herself, Emily can’t seem to make the world stop spinning. Something is wrong here that drives Emily to seek the truth for those who can no longer speak for themselves. There are obstacles besides the media that challenge Emily to decide if she wants to fight for truth! Reid Billings is Kaylene’s younger brother, who has not seen his sister in a while and cannot accept her actions, which don’t seem like something his sister is capable of doing. Now together, Emily along with Reid set out to find the truth even if the proof is that what has been said about Kaylene is true. Along the way, Emily and Reid’s hearts become entangled in a possible budding romance if Emily will let herself believe that not all men are controllers, abusive and more. At times, my heart was in my throat as I read this special story that really brings to the forefront the need some have to become free from a very dysfunctional relationship. At the end of the book, I read the Acknowledgments page to find out that the author found the story difficult to write and at times was not sure where to take the plot. I was reminded how truly appreciative I am for those who sit in front of a computer and write, rewrite, bang their heads, start over and so much more to tell the story that they long to convey to readers. I want to thank Cara Putman for telling a very heart-tugging and touching story that in the end was excellent! For me, I won’t soon forget this book and look forward to whatever Cara brings next in the Justice series! Danielle Segovia is trying to make ends meet. She runs her own gift shop with art, pottery and various decorations for the home. She is also raising her 15-year-old brother, who has recently begun hanging out with gang members. She has tried to tell him how dangerous this is, but he believes the gang will take care of them. Danielle gave up finishing her college degree to raise her brother and run the shop when her parents died in a car accident. A handsome man enters her shop just before closing and talks to her about things she knows nothing about. What is going on? Colt Blackthorn is undercover as an illegal art dealer to ascertain the identity of a particular art shop owner. He has received intel that she is the sister of a Mexican drug cartel leader. She has stolen a huge cash of drugs from her brother and he wants it back. He will do anything to retrieve it as the drugs are worth millions. He also wants his sister back to exact a more personal revenge. Colt and the other U.S. Marshals want Rio’s sister to stop the infiltration of more drugs in Texas from a potential new drug lord. Colt enters the art shop and soon identifies the owner as Rio’s sister. He leaves the shop certain of her identity and filled with anger as she is also responsible for his best friend’s death. While he tries to gain control of his emotions, he sees her forced into an unmarked vehicle. Has her brother found her? Colt races to catch the car so he can see justice done for his best friend and not let a murderer get away. This excitement is all in just the first few chapters of the book. There is plenty more where that came from! This is another great suspense-filled story! Danielle’s struggle with raising her teenage brother was an interesting side plot, and Colt’s struggle with his feelings of vengeance also rang true. The faith element is evident in the story without being overwhelming; it is seamlessly woven in. This would be a good stocking stuffer for the reader on your Christmas list! Each book in the “My Heart Belongs” series is unique and a stand-alone, and I’ve enjoyed reading each novel! In this latest novel set in the early 1900s, a young widow named Leanna wrestles with her unforgiving heart toward her husband and herself. On top of which Leanna decides to help two Greek children in the coal mining community along with her other students. Leanna has known sorrow, hunger and being disinherited by her family as she followed her heart in marrying beneath her social status and following what she believed was God’s call on her life. Now, with very little means to support herself, Leanna is fighting prejudices and the elements just to survive. Leanna is a very caring, loving character though she recognizes within her heart she would be just as high and mighty as others in the coal town who are acting against the Greeks and others if life hadn’t changed for her with her now deceased husband Jack. 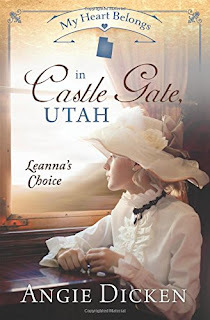 Leanna is my favorite character in the book as she walks out her faith, her struggles and even owns her failures. On top of this, Leanna strongly opposes how others are mistreating people based on their heritage. Eventually her faith in God is what shines the brightest throughout the book. I enjoyed the Greek sense of family and traditions, plus learning how family members are titled compared to how I grew up. This is a great story that touches the heart and reminds us we are all loved by God and created uniquely! I don’t know exactly when I had heard of the book or read it, so reading the anniversary edition was fun. I think the best part was learning how it relates family history, to be specific Catherine Marshall’s mother and her life in the 1900s. This was a time when a young woman embarked to a place where strangers were welcomed easily and winning the trust of folks took a lot of work and faith. I loved reading how Catherine’s mother related so much history to her daughter and challenged her to put it into writing. I am thankful that once again it is made available for a new generation to read and learn what occurred long before they were born. 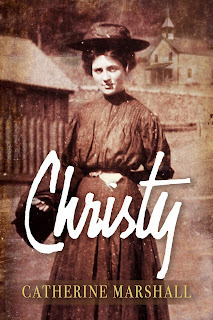 To learn how different life was back then and the dangers Christy faced when she entered a small town as a complete stranger. Don’t let the number of pages keep you from enjoying the true story of a woman’s courage written into a work of fiction that at times it was hard for the author even to tell where fact or fiction began or ended. I meditated on how people took time to tell their life story to their children and the children listened and passed them on to the next generation. 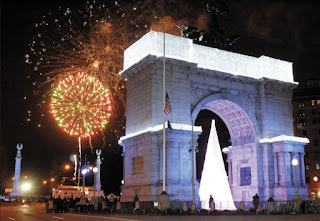 Perhaps with all the new instant everything, we can be challenged ourselves to share our family history with the next generation and the next so that the connection with our past can remain unbroken. The novel is not just for girls, but I think boys might enjoy reading how men in the past. Reading time can be a family adventure and there is no hurry to finish the book. We need to take time to write down even some of what we have been taught and learned for those who come after us. I am amazed at how this woman at age 19 faced so much with faith and fortitude, and impacted not just her life but that of her daughter and many, many others. The holidays are coming so please consider giving a copy to those who love history, family ties, faith and the past. What an astounding gift we can give to others! Beau Travis is a carpenter whose skills are in demand. His current job is doing some remodeling at a local bed and breakfast. The owner is an attractive woman, but she rarely leaves the inn. He sees the first-rate security system she has installed and wonders why, but he doesn’t like personal questions posed to him so he doesn’t ask them of her. Jenna Harper has lived in fear for the past two years and pretty much jumps at her own shadow. With the help of her Aunt Molly, she has begun to slowly return to venture out a little and have her fears lessened. She can’t deny that her new carpenter is quite handsome, and she thinks he finds her attractive as well. She knows he has a reputation of dating around and leaving a trail of broken hearts, so she is wary of him at first. He remembers overhearing her father years ago saying that Beau wasn’t good enough for his daughter. With their pasts looking them in the face, they aren’t keen to undertake a romance. Then, fraudulent charges show up on Jenna’s credit card, phone calls arrive with someone hanging up, and her inn is sabotaged. Jenna is sure she knows who is responsible, but the police aren’t too quick to respond. Beau believes her and takes her protection to heart. The two begin to grow close when Jenna finds some incriminating evidence against Beau. Can their newfound trust survive? I found that once again I was hooked on a story of prologue to epilogue with this thriller I pulled from my bookshelf. Beau as the teenage rebel now as a grown man matured, but still longing for acceptance rang true. The fear of Jenna was made palpable by the author’s vivid descriptions. I also enjoyed the descriptions of the clothing worn, food eaten and room designs at the bed and breakfast as it really put me in the scene. The crazy criminal was realistic and instilled in me a thankfulness that he was fictional! I look forward to reading more of Lauren’s books as this was my first. What a unique story that unfolds within these pages! 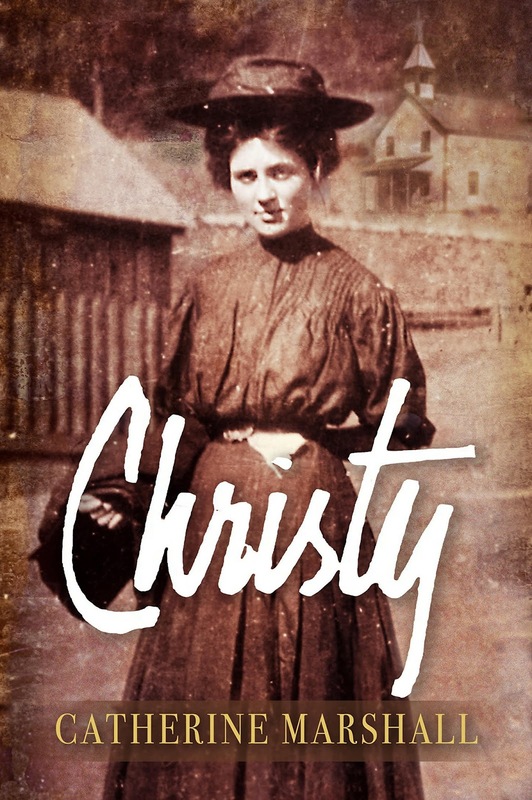 There are a multitude of heart-touching interactions between the main character, Macy, beginning with her husband and family. Macy is abandoned in a diner when her husband leaves her because she has refused to relinquish the life growing inside her. 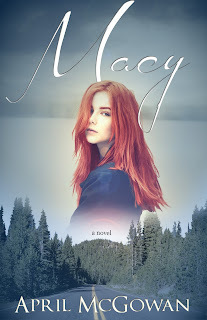 My heart was pulled as I read what happened with and to Macy as she begins trying to build a life with nothing to her name. The novel points out how women in abusive marriages can slowly find a new life until they are able to decide what the future may hold for them. Macy, while not physically abused, was certainly emotionally abused, as well as having her mother’s hand in her marriage along with how controlling Macy’s husband was in keeping her from knowing anything outside of what he revealed. The theme of struggling with believing in God during these times while learning to forgive by showing just how hard it can be to do and yet freeing at the same time was an amazing aspect to the book. Many other characters are introduced in the story I think to show how people can lend a helping hand to women who find themselves in the situations they are in. Plus, I loved how the author ends the book with the ultimate theme of hope that God alone can restore to a broken heart and life. I don’t want readers to think this is a downer novel; it isn’t. It is gripping, but doesn’t pull the reader into the depths of pain. Readers will be touched by what they read by what others do to help Macy, and above all how God can work miraculously and wondrously when we relinquish trying to fix our problems on our own. Carly Kelley is on the run…literally. She is begin chased by a man while out on her morning jog. She has kept to her normal routine recently, even though she has felt like she is being watched. Just as her text warned, she has not talked to the police or told anyone about the threats issued to her, her young son and her best friend via text. She is a restorer and designer of antique jewelry and her skills are in demand for an unknown criminal to be put to illegal use. Carly is desperate for help and discovers her deceased husband’s brother lives nearby. She decides to risk contacting him for help. Dallas Morgan has watched the female jogger who has run by his house for the last few mornings and is curious why she comes up to his porch, but doesn’t knock. He soon finds out and it is a lot more than he could imagine. He quickly realizes Carly needs his help as well as the nephew he has never met. Carly is a strong, attractive and smart woman who Dallas is drawn to immediately, even while still grieving a loss from the past. Dallas and Carly work together to protect her son, who seems to be the target. As they get to know each other, the attraction is obviously mutual. They each have pasts that make them leery of getting involved in a relationship, but they rely on God to guide them. These short books are gems to read in one sitting and are filled with lots of action, suspense and intrigue. The books I have read contain a faith message that is consistent and upbeat. This story will grab readers from page one with a chase scene and keep them captivated until the last page. The strength of the two lead characters was a draw for me, as well as their active faith despite their terrible childhoods. Zane was an adorable supporting cast member. I hope to read more of this author’s books as they are well worth the time spent engrossed in the pages!